The average adult (should) be spending about 8 hours of time in their bed every night, which means you’ll be spending ⅓ of the day on your mattress. Taking into account that the average lifespan of a mattress is about 10-15 years depending you’re going to be spending quite a significant amount of time on your bed. This, combined with how important a good night’s sleep is, should be reason enough to carefully consider your next new mattress. Mattress shopping isn’t always the most fun process, especially if you go the route of going from store to store laying on beds and being hassled by salespeople. There are also more mattress types on the market than ever before, leaving many potential customers feeling overwhelmed. Despite new hybrid mattresses being created all the time memory foam mattresses remain one of the most popular. 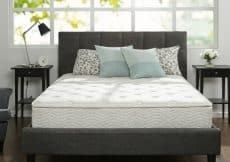 When it comes to memory foam mattress, not all are created equal, and if budget is a worry then deciding between more expensive but well-known brands versus smaller but less expensive brands is even trickier. 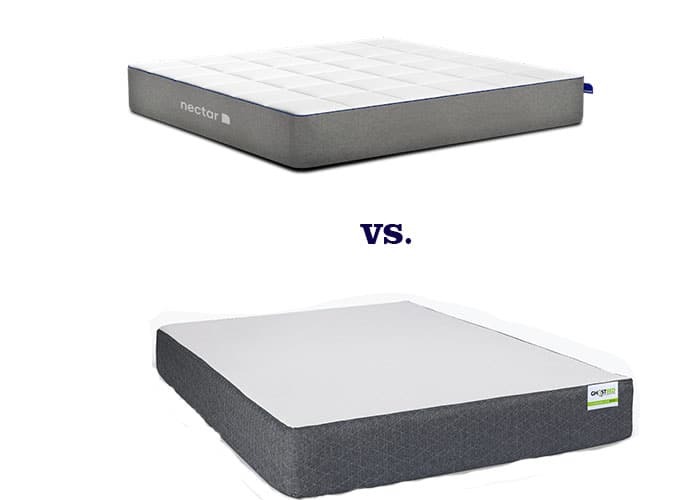 A great example of this is the comparison between Novaform and Tempur-Pedic mattresses. It doesn’t have to be said which of these two is better known and considered a household name. With that being said, however, both of these brands perform well and each has their own fans. If you’re ready to buy a new mattress but are stuck between these two brands, here are some things to consider before you settle on one. What Mattress Does Novaform Make? Novaform is a mattress brand owned by Innocor Comfort. They are best known for being a premium mattress sold at Costco. 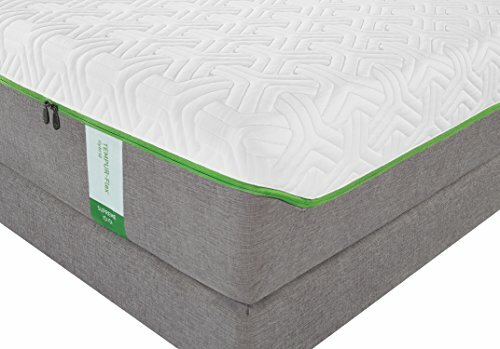 Now, many people will automatically avoid a mattress sold in a store like Costco, save for those on a strict budget or college kids, but the idea that Novaform is a cheap brand is false. While their beds may be inexpensive, they are surprisingly well-made and comfortable. Altabella – A soft mattress that sleeps cool/optimal and is great for side sleepers. It has a very soft support and is available in Queen, King, or Cal. King sizes. Retail prices ranges from $1,299.99 to $1,499.99 (For the latest prices and discounts, check here). Grande Elegance – A soft mattress that sleeps cool/optimal and is great for side sleepers. It has a pillowtop layer for better support yet a very soft, comfortable feel. Available in Queen, King, or Cal. King sizes with retail ranging from $1,699.99 to $1,899.99. Valentina – A medium-soft mattress that sleeps neutral and is great for side sleepers. It has a plush feel but with slightly more support. Available in Twin, Full, Queen, King, or Cal. King sizes. Priced at $549.99 to $8.99.99. Serafina Pearl– A medium mattress that sleeps cool/optimal and is great for all types of sleepers. Has an enhanced cradling feel that doesn’t leave you sinking too far into the mattress. Available in Queen, King, or Cal. King sizes with prices ranging from $799.99 to $949.99 (For the latest prices and discounts, check here). Bella Venta – A medium-firm mattress that sleeps cool and is great for all types of sleepers. A more supportive mattress that offers excellent breathability. Available in Twin, Full, Queen, King, or Cal King. Retail ranges from $549.99 to $949.99. ComfortGrande – A medium-firm mattress that sleeps cool and is great for all types for sleepers. Feels soft to the touch but still has true medium-firm support. Available in Twin, Full, Queen, King, and Cal. King sizes. Retail price is $439.99 to $799.99 (For the latest prices and discounts, check here). Novaform Firm – A firm mattress that sleeps neutral and is great for stomach or back sleepers. A very firm mattress that still remains responsive when moving around at night. Available in Twin, Full, Queen, King, or Cal. King. Price varies from $499.99 to $749.99. Note: Novaform also has a variety of Mattress Topper options available. Novaform also has a Mattress Selector feature on their website to help you decide which is the right model for you. As you can see from the various pricing ranges above, Novaform is best known for being budget-friendly but comfortable. They are often a go-to brand for first-time mattress buyers, young adults that don’t have a lot to spend, or as an easy guest bed option that isn’t going to break the bank. The wide range of different mattress models means you’ll have no issue finding one that is right for you, based on factors like personal softness/firmness preferences or which positions you often finding yourself sleeping in. All of the Novaform mattresses are available in the major Queen, King, and California King sizes, which are the most popular for adults and couples. Still, they do have a couple models that come in Twin and Full which is a nice choice for kids, teens, guest bedrooms or dorms. Altabella Soft mattress that sleeps cool/optimal Great for side sleepers. Available in Queen, King, or Cal. $1,299.99 to $1,499.99 (For the latest prices and discounts, check here). Grande Elegance Soft mattress that sleeps cool/optimal. Great for side sleepers. Available in Queen, King , or Cal. $1,699.99 to $1,899.99. Valentina Medium-soft mattress Great for side sleepers. Available in Twin, Full, Queen, King, or Cal. $549.99 to $8.99.99. Bella Venta Medium-firm mattress Great for all types for sleepers. Available in Twin, Full, Queen, King, or Cal King. $549.99 to $949.99. ComfortGrande Medium-firm mattress Great for all types for sleepers. Available in Twin, Full, Queen, King, and Cal. King. $439.99 to $799.99 (For the latest prices and discounts, check here). Novaform Firm Firm Mattress. Great for stomach or back sleepers. Available in Twin, Full, Queen, King, or Cal. King. $499.99 to $749.99. 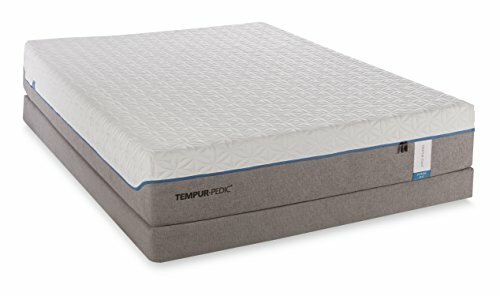 What Mattress Does Tempur-Pedic Make? Tempur-Pedic is probably one of the most well-known mattress brands and is easily considered a household name. They are also a brand that is often held as a standard to compare other mattresses too. In reality, you really can’t go wrong with a Tempur-Pedic. That being said it is an expensive bed and therefore isn’t always the best choice for every person. TEMPUR-Flex – A very adaptive, responsive mattress with a nice springy feel to it. This is a hybrid mattress that feels like a traditional coil bed but has the added benefit of cushioned Tempur memory foam. Available in Prima, Supreme, Supreme Breeze, and Elite. Priced from $1,449.00 for a Twin up to $6,198 for a split Cal. King (For the latest prices and discounts, check here). 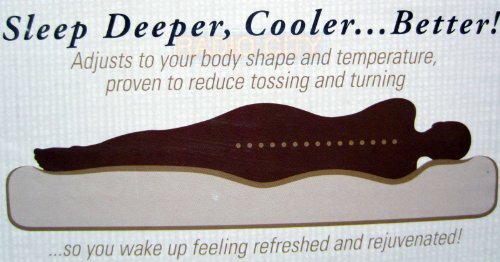 TEMPUR-Contour – These mattresses are actually the original Tempur-Pedics. They have a firm layer on top that keep pressure points like the hips comfortable and has amazing core support. Available in Supreme, Elite, Elite Breeze, and Rhapsody Luxe. Priced from $2,049.00 for a Twin up to $7,198 for a split Cal. King (For the latest prices and discounts, check here). TEMPUR-Cloud – A super plush softness combined with enough support that you won’t sink too far into the bed. Available in Prima, Supreme, Supreme Breeze, Elite, Luxe, and Luxe Breeze. Priced from $1,249.00 for a Twin up to $8,198 for a split Cal. King (For the latest prices and discounts, check here). TEMPUR-Breeze – A line of mattresses that all focus on keeping warm to hot sleepers cooler at night. This both a firmness type and a mattress model, which can be slightly confusing. Priced from $2,899.00 for a Twin Long up to $8,198 for a split Cal. King (For the latest prices and discounts, check here). Tempur-Pedic is slightly confusing when it comes to shopping for a mattress. Each firmness type above will actually differ in firmness between each mattress. So a Prima will always be firmer than a Supreme, but a TEMPUR-Cloud Prima will be softer than a TEMPUR-Flex Prima. Another consideration is that not all firmness types are available in all sizes. Tempur-Pedic does have a mattress selector as well and also have a Grand option, so if you have a partner you can each get your own side of the mattress in your own firmness. It is highly recommended to contact Tempur-Pedic and/or speak with one of their Sleep Experts to ensure you’re purchasing the optimum bed. While the number of options between models and firmness within models seems complicated it actually means you’re going to be getting pretty close to a custom bed as you can get. Overall the Novaform mattresses perform very well, easily competing with bigger brands like Tempur-Pedic despite so often being suspiciously less expensive. 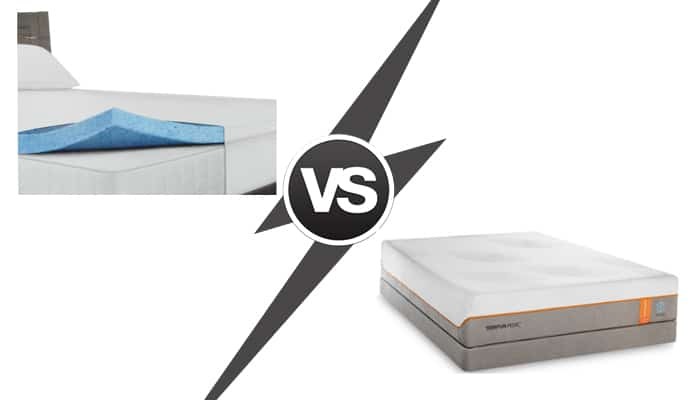 When it comes down to Novaform vs Tempur-Pedic there isn’t a clear winner. If budget is a primary factor then a Novaform may be the better choice. You’ll get nice quality, comfortable bed that will last at least 10 years. It might not be a super luxurious bed but it definitely isn’t a bad choice either. Essentially a Novaform does what a bed is supposed to do. It provides a comfortable, supportive place to sleep every night. On the other hand, if you want a luxurious bed that is going to last longer and probably feel more supportive/comfortable for a longer length of time then a Tempur Pedic is probably a better choice. Though it may be upwards of twice or more expensive you are getting a bed that is considered widely to be one of the best. If it twice or three times as good as a Novaform? Probably not. But are more customers happy with their Tempur-Pedic and end up being repeat customers? Yes. Neither bed is a bad choice over the other. Bottom Line: So What’s My Final Word? Budget Conscious: Overall if you’re on a budget but still want a good night’s sleep every night then a Novaform available here is a great choice. The Full Premium Experience: If you really want to lay down the money and invest in a bed that gives incredible comfort and breathability night after night then you’ll want to go with the Tempurpedic lines available here. PureSleep Review - Does PureSleep Really Work?